In 2013 I jumped from one school (my university) to behind the scenes at another. 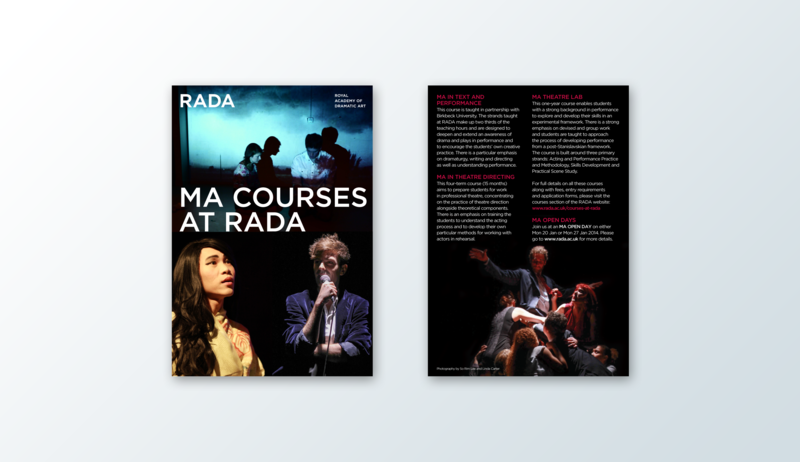 RADA is a renowned drama school that also offers coaching to professionals for things like presentation skills (they were once featured on the BBC show The Apprentice!). I worked across both sides of the business, doing predominantly printed materials. This initial industry experience taught me a lot about working within a set of brand guidelines. 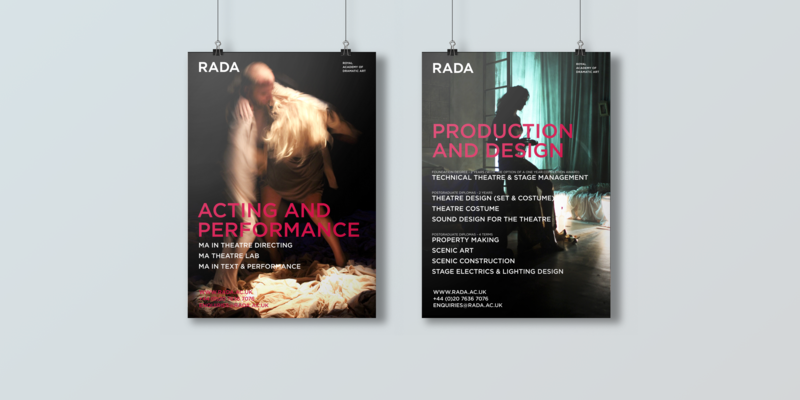 We had an in-house poster printer at RADA so this really was end to end production! With regular shows, event posters had to stand out and make an impact with passers-by. 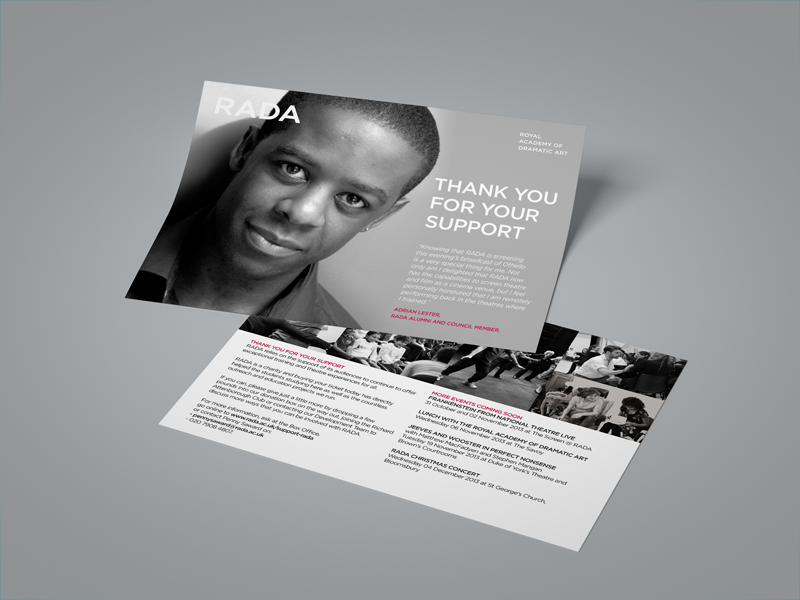 I produced many smaller pieces of printed material at RADA. These projects were printed externally so involved prepping the documents for print. 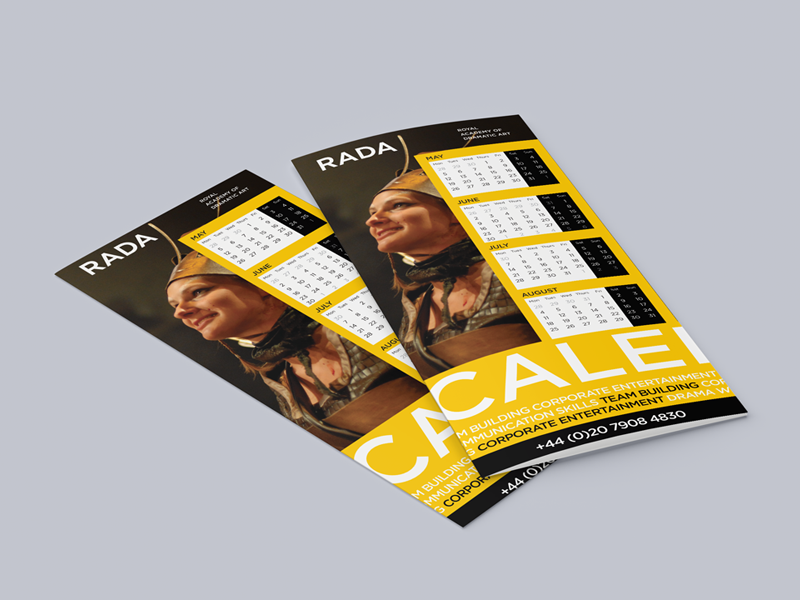 Producing the calendar was the most challenging of these projects, designing it to make sure it was something that people would want to keep on their desks for the entire year!